Rejoice, fans of Left 4 Dead and gigantic rats, as Warhammer: Vermintide 2 is being made. Developers Fatshark promise it will be bigger, deeper, and, well… rattier than the brilliant first game. But details have been scarce since the initial announcement in early 2017. However, thanks to a worldwide reveal, we now know heaps about the upcoming cooperative splat-the-rat simulator. Related: check out our Warhammer: Vermintide 2 interview. Once again, you and up to three friends will set out into The End Times of Warhammer, completing a series of objective in each mission while fighting off hordes of Skaven. You will also get to choose one of five heroes as you embark on each mission, but Warhammer: Vermintide 2 adds 15 fully-fledged career paths to progress through. Moreover, you will have far more to worry about on each mission than a few pesky rodents – Chaos have joined up with the Skaven. So, how will the forces of Chaos feature in Warhammer: Vermintide 2? What gameplay changes can we expect to see? And how will those career paths work? Join us as we sift through everything we know about Warhammer: Vermintide 2. The key addition to Warhammer: Vermintide 2 is Chaos. If you are not overly familiar with what these chaps are like in Warhammer lore, Chaos are cruel and evil entities from a different timespace known as the Warp. 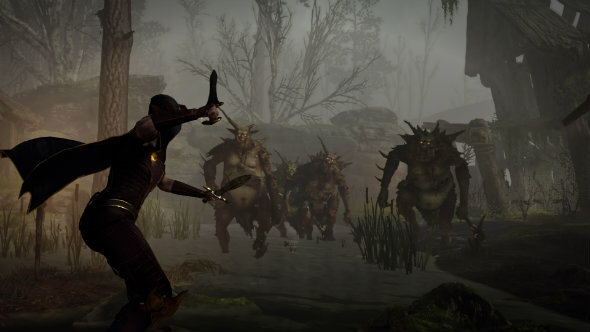 Warhammer: Vermintide 2 sees this malevolent faction team up with the Skaven in a joint effort to accelerate the end of the world. Told you: they are not very nice. Chaos add some challenging variation to the roster of enemies you will be cleaving, shooting, and burning your way through in Warhammer: Vermintide 2. Skaven, owing to their ratty form, are very squidgy and thus pretty easy to bludgeon and chop to pieces. Chaos, on the other hand, wear plate armour and will therefore take teamwork and persistence to fell. In addition, expect to see some gruesome bosses and special enemies to make your bid for survival even tougher. At the time of writing, only three Chaos factions have been revealed: Chaos Warriors, Chaos Nurgle, and Chaos Spawn. These are gigantic, bloodthirsty, armour-clad demons who will likely form the bulk of Chaos enemies you will face – their strength and stature will make them stand out among the packs of Ratmen. Aside from having a funny name, Chaos Nurgle are those troops who have pledged themselves – willingly or by virtue of Nurgle’s Rot – to the mighty Lord of Decay, Nurgle. Expect some gross-out attacks from these guys. The most horrific and otherworldly of all humanoids who have been tainted by Chaos. They are mutated creatures of practically every shape, size, and form imaginable, and live only to serve their devious masters. These creatures have long since lost their minds to the forces of Chaos and act unpredictably in battle as a result. If you played the first Warhammer: Vermintide then you won’t have to reacquaint yourself with any new classes or roles as the same five heroes return for the sequel: Witch Hunter, Waywatcher, Empire Soldier, Dwarf Ranger, and Bright Wizard. These heroes fulfill every core gameplay type you could ask for, from casters and tanks, to archers and warriors. Fatshark are hoping to diversify each of those five heroes further by adding career paths that let you define each hero’s role further. 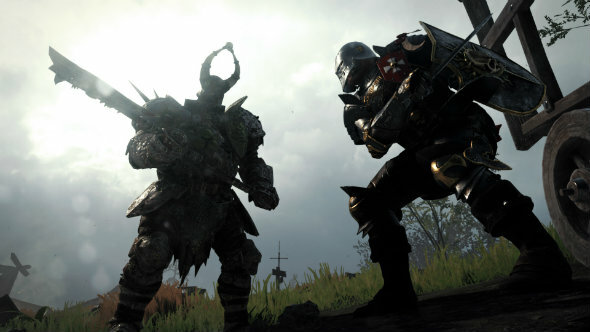 Warhammer: Vermintide 2 career paths take the form of a three-branch talent tree, which, depending on the career you adopt, bestow passive and active abilities – think Overwatch ultimates – on your rat-slaying hero. Better still, Fatshark are promising that these career paths will be adapted straight from the Warhammer fantasy lore. 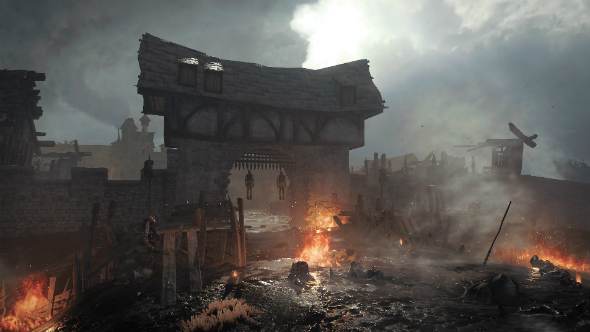 Warhammer: Vermintide 2’s gameplay will build upon the horde-based co-op survival gameplay of the first game: band up with friends online, pick a hero, pick a mission, kill loads of rats, return to the safety of your tavern, and roll dice for some quality loot. Where Warhammer: Vermintide 2 will differ is in its assortment of enemies and hero abilities. 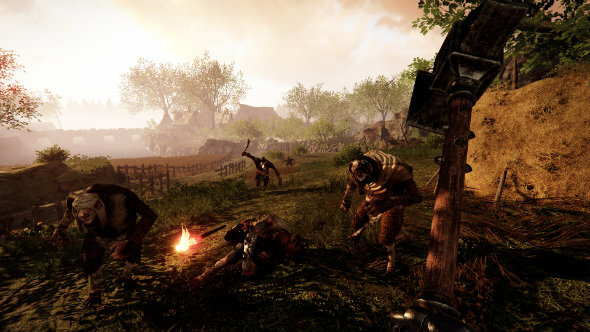 The former should help set Warhammer: Vermintide 2 apart from Left 4 Dead by adding tougher enemies that you cannot simply down with a couple of attacks, while the abilities promise to offer players a wealth of options both in terms of team composition and how you approach each mission. In short, same rat-massacring goodness with some personality and variation thrown in – sounds good to us. But enough talk, right? Time to see some Warhammer: Vermintide 2 gameplay. 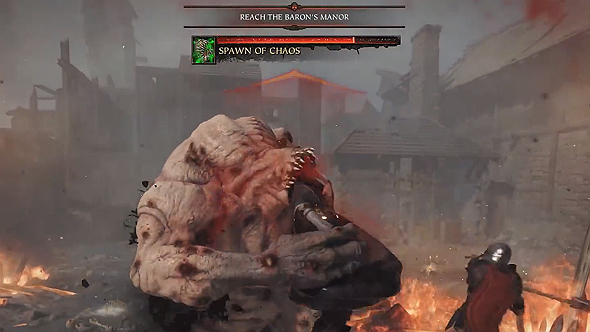 Watch the gameplay trailer below to see some Chaos Warriors dismantled. There is also a Warhammer: Vermintide 2 teaser trailer that you can take a look at below, which reveals little more than some Skaven sounds, the fact that this is a game that exists, and what the logo will look like. In an effort to add extra challenge and replayability to Warhammer: Vermintide 2, Fatshark are adding a new system of consumable quests that you acquire through the loot system. These quests are called Heroic Deeds and are shared across your party and have wide-ranging effects such as upping the difficulty, adding an unusual set of enemies, or facing a level comprised entirely of minibosses. The new system also allows includes challenges like solo and duo runs, which has been requested by the Vermintide community since the first game launched. No more trudging around the rat-infested, arterial alleys and ramshackle abodes of Ubersreik, Warhammer: Vermintide 2 takes our five heroes northeast to Helmgart, a fortress located in the Axe Bit Pass and surrounded on all sides by the Grey Mountains. Judging from the gameplay reveal, this new Warhammer: Vermintide 2 setting will feature a greater variety of scenery than its predecessor with shots of lush forests and golden pastures breaking up the bleakness of a city overrun by Skaven and Chaos. While they are not set in stone yet, both minimum and recommended Warhammer: Vermintide 2 system requirements can be found on the game’s Steam page. Nothing taxing if you are willing to sacrifice some of Warhammer: Vermintide 2’s prettier/grimier graphical details – the minimum requirements appear to be identical to those of the first Vermintide, so no worries if you have not upgraded your rig since then. Official mod support has been confirmed for Warhammer: Vermintide 2, though a lot of details regarding toolsets, limitations, and rules are yet to be confirmed. So it is not yet clear whether you will be limited to making minor aesthetic tweaks or go the whole hog and make your own levels and heroes. 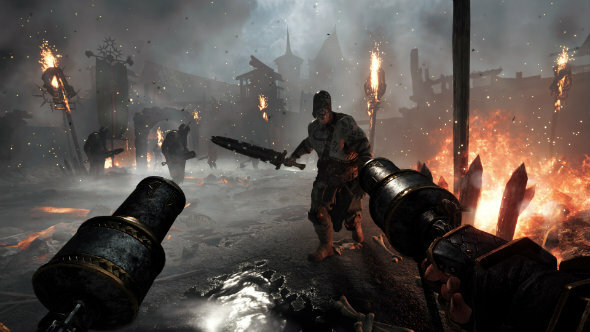 The possibility of a third-person mode was alluded to in the reveal livestream for Warhammer: Vermintide 2, to which Fatshark said they would encourage modders to do so. This gives some indication at how in-depth the official mod support for Warhammer: Vermintide 2 will be. 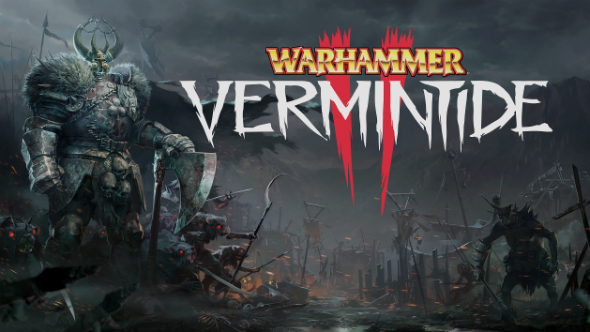 Good news for any of you who can’t wait for Warhammer: Vermintide 2’s 2018 release date – the game will be getting a series of beta tests as it nears launch, as well as beta access for those who pre-order the game on Steam. No dates or specifics have been released, so whether these beta tests will be closed or open is unknown. That’s all we know for now about Warhammer: Vermintide 2. We will update this page as and when new details about the game are revealed, so check back regularly for all the latest.